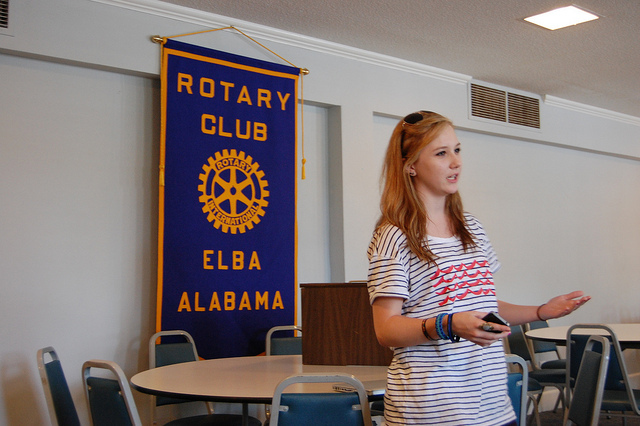 The past 10 weeks spent in Elba as part of the Living Democracy program was an experience, to say the least. The program was filled with ups and downs, leaps and stumbles and a lot of growth for me. I’ve never been a very forward person when it comes to asking for items or help from another. Although I am driven and will work hard on any task given to me, I will put off any task that requires me to ask for someone’s help, permission or collaboration. I don’t think there is anything more nerve-wracking to me. Surprise, surprise- this is a lot of what Living Democracy is. Through Living Democracy I have become more open to the idea that asking for help, donations or collaboration isn’t so bad. It didn’t always work out, but when things did work out I got the help I needed for my community projects. The zombie run could have never happened without taking the first step to being more socially forward. 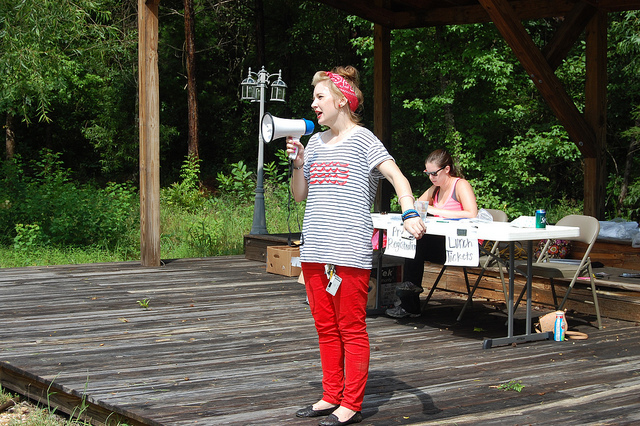 Without speaking out to people, we wouldn’t have had any donations or attendees. I had to ask storeowners to put up fliers in their stores in multiple places in multiple towns for the run and for the children’s art classes I directed this summer. It was hard because with every “yes” you get comes a couple of “no’s” as well. Asking for a bit of help doesn’t seem half as daunting as it used to be, and now I don’t really see what I thought the big deal about it was. If someone says no, you move on and go ask someone else. You keep asking until you get a yes. Sometimes if you don’t ask, people pass up the opportunity because they assume you don’t want their help even if they are willing to give it. By not asking you have basically cheated yourself out of any option at all besides no. Aside from the major life lesson I gained, it’s been a good time in Elba. I have enjoyed my frequent lunches at Just Folk Coffeehouse with everyone who lunches there. I loved having the kids in my art class. They were all so great and having a room full of 10 kids can be frustrating when they’re screaming and running away from a spider. However, nothing beats the moments when they said they were having fun or thanked me for teaching them how to draw something new. The zombie run was every ounce as stressful as it was rewarding, but I loved the outcome. I’ll always laugh about putting out hay bales at 8 p.m. with three teenagers and having to run back to the car soaked because it decided to rain when we were halfway through building the trail in the woods. Who knows, maybe I’ll decide to start my own zombie run in Auburn this year or the next? Lastly, I would like to thank a whole slew of people who offered me their help and support during my 10-week stay. Especially those who helped, donated and reached out to me when I asked for help because it was especially hard for me to request such assistance. 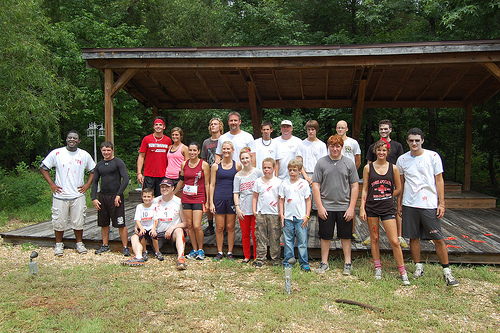 First, thank you to everyone who helped in the zombie run: all the attendees, Kenneth Calhoun, Jack and Meredith Brunson, my mother, Mike Spencer, John Gray, Brinley, Justin Maddox, Ryan Renfroe, Ed Cowen, the owners of ACE Hardware in Elba, Mr. Sparks and INZI Controls, and all of the teenagers who stayed after to help clean up! Thank you to all the parents who let me teach their kids art this summer! I enjoyed teaching them and seeing the art they made. I hope they continue to grow creatively. Thank you Debbie Jared for letting us use your room for art class as well. It was great! Thank you Ed and Myrna Cowen for letting me live with you- it was amazing to get to know ya’ll! You were so hospitable and AMAZING cooks. I don’t think I’ll eat half as good home cooking ever again like I did with you two. Lehnhoff paints new sign for Restoration 154’s Pea River Outdoors shop. Thank you to Mart Gray, my community partner and lively traveling minister. I appreciate all your support and helping me gain support through your church family. I also appreciate the good food and tables for art class! A big thanks to Restoration 154’s Justin Maddox and Philip Box for reaching back to me after I reached out to you! I hope all your endeavors go well and hope to see more of ya’ll in programs to come through Auburn! 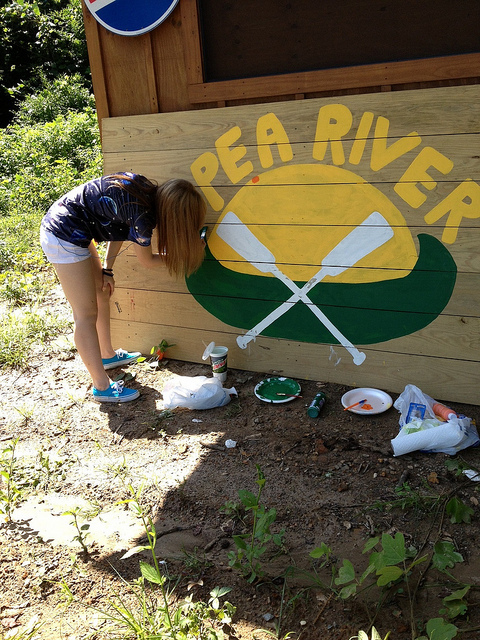 Thank you for your help, support, and the opportunity to paint your sign for Pea River Outdoors. 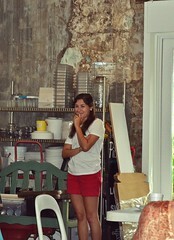 Thank you to all of those who embraced me, supported me, and guided me as I was in Elba! I know I have a lot of names to list and I might forget a few, but everything you did for the Living Democracy program and me is greatly appreciated. Lastly, thank you so so so much Farris English. She was my right hand lady during this whole adventure, and I don’t think I could have made it without her. Farris helped me with art class, and she helped with the zombie run a LOT. She took on a lot more than I ever expected from her and kept my head from popping off some days when I had a lot on my mind. I enjoyed all of the work and the fun with her. It was a great summer with a lot of growth and memories. Hope to see you again soon, Elba! During the Living Democracy program, each of us is asked to identify one person as an ‘outstanding’ citizen in the community. I spent a lot of time mulling over the qualifications of an outstanding citizen and came to a conclusion: no specific set of qualifications deems a citizen as outstanding to everyone in a community. Every community has different groups and within those groups are intricate webs of relationships. The view of what individuals do in a community can vary from person to person depending on where citizens focus their attention. To a lot of people I met in Elba, Philip Box, pastor of the Elba Church of Christ, is an outstanding citizen because of his work as a pastor and his efforts with the food kitchen and other community projects he is involved with. Justin Maddox is also an outstanding citizen because of his work around the community and his willingness to lend a helping hand to anyone who asks. Pastors at local churches are often viewed as outstanding citizens because they reach out to people in the community. An outstanding citizen to one person in the community may not even exist in the mind of another community member in Elba. 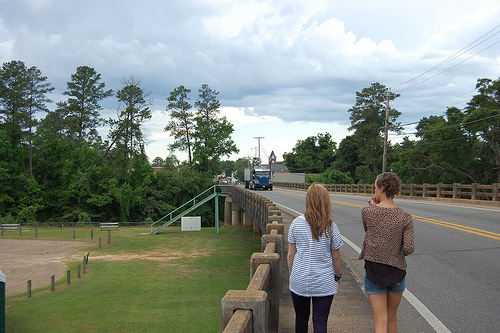 Relationships within a community are vast and complex, and I’m sure there are dozens of people I could deem award-worthy in Elba if I had more time to explore and connect with every group of citizens in the community. But based on my personal experience in Elba this summer, the outstanding citizen who deserves recognition is Farris English. Although she is only a 16-year-old student at Elba High School she took on major responsibilities working with me this summer. For someone her age, she is well connected with the community. Farris was with me every step of the way during my work on Living Democracy projects such as Elba’s first Zombie Run and our weekly art classes. 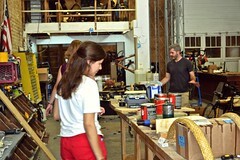 When one ended she offered to help with the next project, even after learning how stressful such work can be. I think many people believe that young people can’t be outstanding citizens unless they do something “incredible” on a national level such as the teen who discovered poor water quality in McDonald’s ice during a school science experiment, an effort that received wide recognition by news outlets. But when one gets down to it on a local level, it’s amazing what the generation of younger people take on. More and more I see stories of ‘the youngest ever’ person to do something great in a certain field. Farris took on a lot by helping me with projects and putting herself out there to get things done and get people to Living Democracy events. There were some days I may have literally gone crazy or given up without her help. This wasn’t even her first year helping out a Living Democracy student as she also worked with Auburn student Alexis Sankey in 2012. And she is only just becoming a junior in high school this year. To me, an outstanding citizen is still hard to describe. I’ve never been good at narrowing down, and it is difficult be able to just pick one person in Elba for this recognition. I know people who devote their lives to others and groups of people that a majority of the world has never heard of. They may never get an award for it. There are people out there in communities all over the world who are probably the next Mother Theresa or Ghandi, but we may not see their face or know their names in our entire lifetime. All that aside, my personal ‘outstanding citizen’ is Farris. Although she may not be starting up game-changing community projects (yet) or leading congregations of people, she is working with people who want to help the community on a local level and that role is as important as those who lead and coordinate the events. After all, what is a community event without the community? Next time you’re interacting in your community, take a moment and look around. Who is your hero? Although you may not be able to give them some sort of physical award or public recognition, thank them. Thank them for what they may do for you, for your group of peers, your community. Those two words mean a lot for those who work hard to help others. With that, thank you Farris English for being my outstanding citizen in Elba this summer, and I hope you continue on the path of living democracy in the future! Elba Art Show, a set on Flickr. Congratulations to Sierra Lehnhoff who is ending her summer in Elba this week. 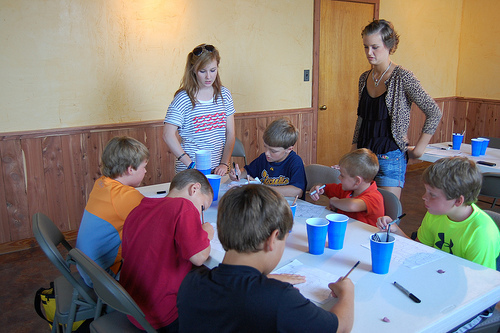 She celebrated with an art show in Elba July 16 showcasing the work of young artists who participated in her art camp. Check out Journalism student Nathan Simone’s photos to get a view of some of their creations. The room is large and open with high ceilings and bowl-shaped light fixtures. One wall is a light brick with a bank vault door. To the left, a large desk sits on a platform surrounded by white chairs. Offices behind transparent glass walls sit to the right. 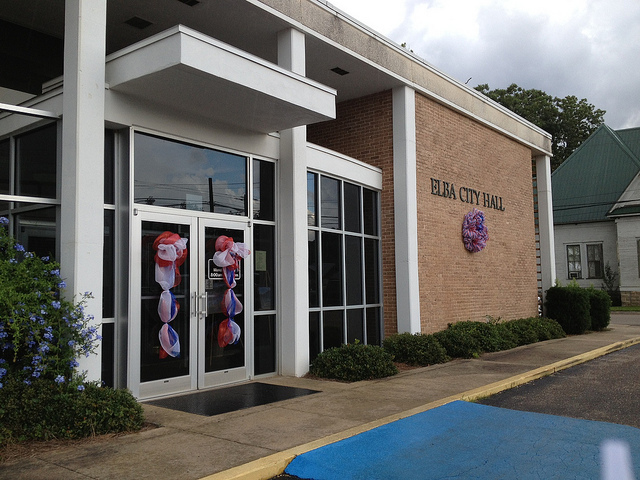 It all adds up to create a sense of openness when entering the Elba City Hall room where the City Council meets. Elba City Council members Rolanda Jones, Tommy Skinner, Jack M. Mullinax, Jane Brunson, Harold Spicer, and Ronnie L Hammond sit with Mayor Mickey Murdock at the front behind gold nameplates with their names engraved. Behind them are two American flags on stands and the framed nameplates of the former City Council members of Elba. They speak quietly into the microphone to their audience of five with Mayor Murdock and City Clerk Mullinax leading the majority of the business. A large agenda is offered in paper format to the attendees, briefing them on the last City Council meeting and noting the business for the current meeting. The majority of the discussion was about the Carl Folsom Field Airport and reviewing city bills. One citizen remarked on an issue of funding due to interest rates, and the council listened closely. The Council was very open about the public business, and the atmosphere was relaxed with jokes scattered here and there. These Elba leaders very well reflect the rest of the citizens and the mood Elba portrays: light, relaxed, and not in much of a rush, leaving no detail overlooked and voicing few complaints. 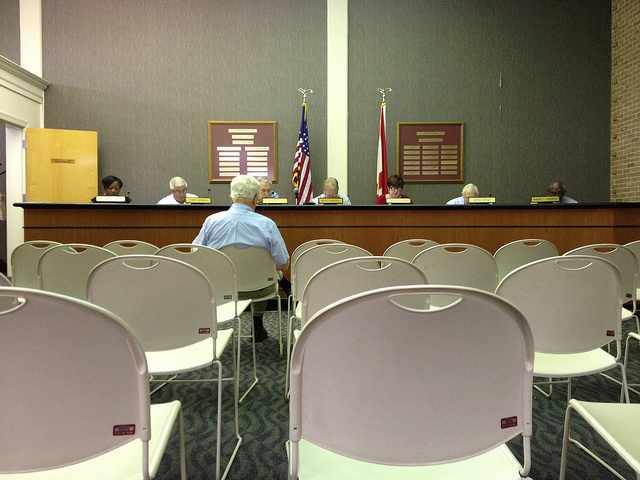 Another order of business was Gappa Wise’s resignation in District Two of the school board. Rob Logan was nominated to fill the open position. Logan has a son in 10th grade and is a graduate of Auburn University. Wise was thanked by Mayor Murdock for his years of service to the school board. As the meeting neared the end, sirens of fire trucks wailed outside as the trucks were inspected. The conversation then turned to a talk about the new City of Elba website. Mayor Murdock requested input from the committee. Jones and Brunson started a light-hearted conversation about wanting a more modern or professional look. The budget for the page and suggested changes in content were discussed. The future holds great promise in Elba, and I think over time more business and issues will be brought to the table to in efforts to move forward. A few older citizens were in attendance, but one day I hope there more participation from all types of citizens. This city council was not a room for complaints, but for business. Although that is good, one hopes that citizens will speak up for what they want to see in their town. Everyone wants some sort of change for the better, and the city council meetings are a great place to start. Who can help you make a change in your city better than those who help run it? City council meetings also help you stay informed. Elba’s City Council was not just strictly business. Community news of interest was also shared. 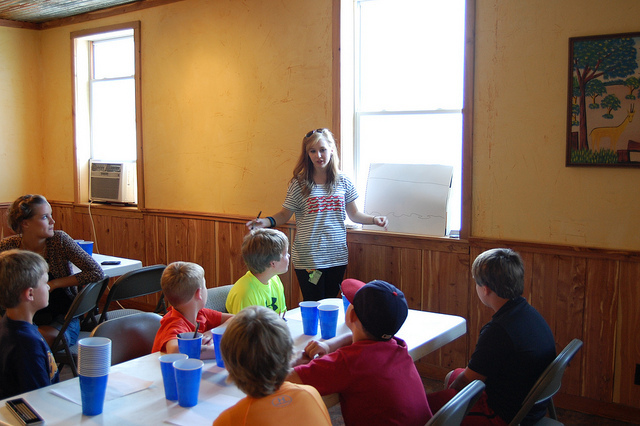 For example, Jones announced that a local church was having a football camp on July 20. They are bringing professional players, as well as some coaches from North Alabama, in for the event that starts at 9 a.m. All ages will be welcome, and children are especially encouraged to participate. Going to a city council meeting is a great way to stay informed on big projects happening in your town, bills that are being sent in, city funds, police reports, and the area’s schools. These meetings aren’t just to help those who run the show. The regularly scheduled meetings can help those who attend be more informed and provide a chance to voice opinions on important items and issues. A productive town needs productive citizens of all walks of life, not just productive leaders. Elba Zombie Run, a set on Flickr. Here are some photos from Journalism student Nathan Simone’s recent visit to Elba’s first Zombie Run.